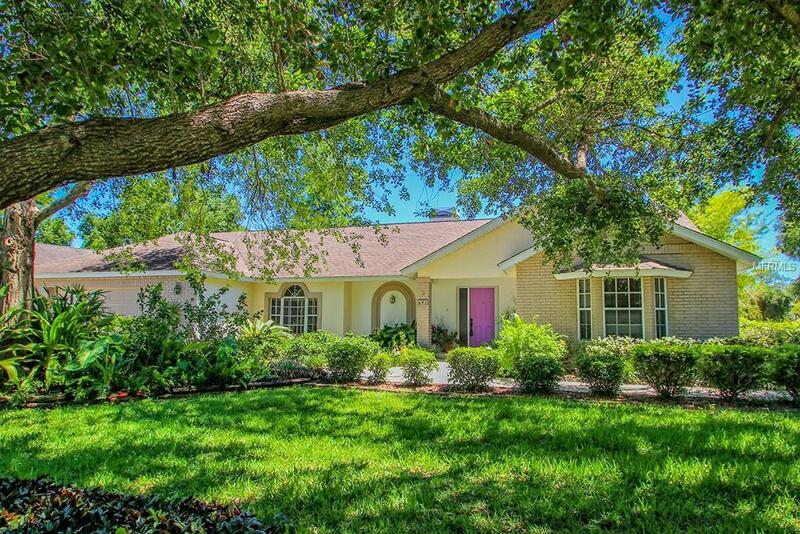 If you have an RV or need huge garage space, this amazing 3 BR / 2 BA pool home in Mill Creek is meant for you.A extra large lot ( 1.199 acres) boasts mature trees and gardens sits on a picturesque lake front. Sit in your caged lanai or relax in your solar heated pool/ spa while soaking up the serenity that surrounds you. Inside you will find a large master suite with dual walk-in closets and a newly renovated gorgeous master bath. Host your friends and family in the 2 spacious guest bedrooms and shared guest bath. Gather in the generously sized living room complete wood burning fireplace and vaulted ceiling along with the adjoining dining area for great entertaining. Lots of room to whip up fantastic meals in this galley style kitchen with all stainless steel appliances, granite counter tops and breakfast bar PLUS an eat in kitchen area make this the heart of the home. Enjoy the convenience of having a laundry area right off of the kitchen. The attached 2 car garage enters through the kitchen and is handy for lots of storage. OUTSIDE THE HOUSE IS THE SHOW PIECE 20 X 60 2 STORY RV GARAGE complete with electricity. This amazing, unique property is landscaped and beautifully decorated with mature flowers, trees and gardens. Don't miss this one...a well loved home...could be your new paradise.